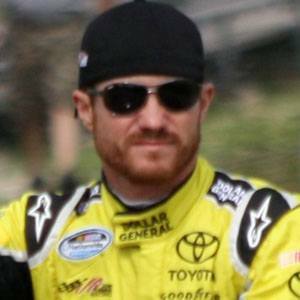 2003 NASCAR Busch Series Champion was named Rookie of the Year in the Nextel Cup the following year. He started racing go-karts in the World Karting Association during his pre-teen years. He became the youngest champion in any of NASCAR's Elite Cup series when winning the 2003 NASCAR Busch Series at age 20. He grew up in Thomasville, North Carolina. He made a guest appearance on the TV show "Heart of Dixie," starring Rachel Bilson.